My personal acquaintance with vetiver, a note I love, came through serendipity many years ago. Perusing through the antique shops in a picturesque corner of the city's center, there are several little consignment stores set up by expatriates from Russia; usually loudly and rather vulgary dressed in all the shades of the rainbow, yet the windows were displaying vintage fur coats, muffs and stoles of the most extravagant and expensive varieties: mink (mustela vison), sable (zibelline), white chinchilla and silver fox. The sight of them displayed in the intense heat of summer was bordering on the surreal and I recall wondering how they kept them from fading in the intense blare of the sun and from the instects that were sure to manifest their presence in the warm cocoon. My mother was diligent in keeping her furs under high-thread cotton wraps in closets scattered with bars of olive-oil soap (it keeps the moths at bay but imparts a delicate "clean" smell to them). The answer was a revelation: they were using small sachects of vetiver roots, apparently a very old custom. Caressing the soft pelts and inhaling the earthy/grassy nuance lingering was a sublime epiphany: here was a combination of smells I came upon for the first time! Ever since I have been hankering for vetiver. Of course I had surely smelled it in perfumes unknowingly, as it is one of the most popular building blocks, reputedly used in the vast majority of fragrances for both sexes (whether listed or not); it is excellent in lending tenacity and rather economical to procure. But the discovery of the pure material was an adventure I wasn't planning on missing on. The uses of vetiver in aromatherapy center on its calming, centering, relaxing effect, which has been exploited in India for thousands of years. Vetiver is known as "oil of tranquility", due to its psychological effect in eliminating anxiety and soothing insomnia and depression. A couple of drops of vetiver essential oil in your bath water will make you feel relieved of all burdens and totally relaxed. Ayurvedic medicine prescribed vetiver for heatstroke, fevers and headaches in times when more advanced techniques were sorely lacking. Somewhat less talked about is vetiver's stimulating effect to the immunity system, an advantage that is welcome even in our state-of-the-art technological times. The essential oil is viscuous, dark brown in colour with a very potent, thick earthy smell -sometimes and, in some varieties, even acridly yeasty- that shouldn't however scare you. 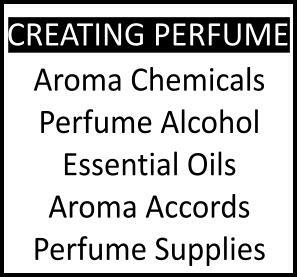 Diluting it heavily (a couple of drops in 30ml/1oz of Everclear/perfumer's alcohol) should give you a liquid that can be used liberally to mix with other essentials or aromatic oils for enjoyable escapades into fragrant exploration. Acquaintances of Eastern and Morrocan lineage used to concot an aromatic red sherbet that was using vetiver as a lifting, cooling touch. I had also heard of the "vetiver water": Indians use a Kooja or Kujo, a clay pot with a narrow neck for storing water, much like the ones used by the ancient Greeks since glazed clay acts as a natural coolant and keeps the liquids fresh. Boiled water is poured into the kooja and a small bundle of vetiver root is added. The mixture is left to marinate for a few hours. Vetiver will thus impart a sweet smell and lightly citrusy taste like that of citronella to which it is related; it's an acquired taste but delicious once you become familiar with it. A similar epiphany must have befallen Celine Ellena, while tasting it at a friend's appartment in Paris, when she came up with the concept of her Sel de Vetiver for The Different Company. The cooling effect of vetiver, apparent in fragrances too, is further used in scenting mats sprinkled with water to lend a light, refreshing ambience to houses, which acts as a welcome respite in the hot summer. But the most divine use of them all has got to be the wonderful bed linens that are made with weaving vetiver threads into the fabric: cool, sweet-smelling sheets to caress your body in the warm days of summer, what could be more pamparingly decadent? Aida Duplessis of Mali has been working with West African cotton and vetiver (V.nigritana) to develop a whole line of linens. The company is Africatable (africatable@yahoo.fr, phone : 00 223 668 36 54). 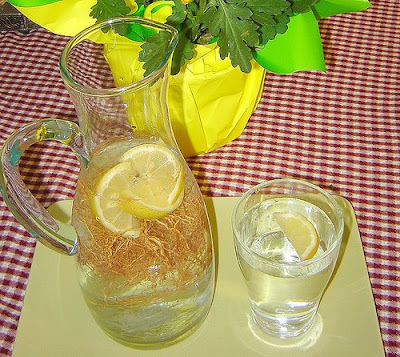 Pic of Vetiver infused water courtesy of Enulagam blog. 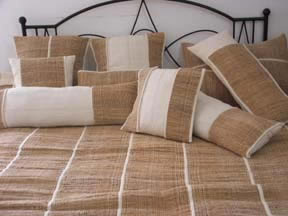 Pic of vetiver linen through Africatable. What a great idea your mother had: something that works, is gentle, and is fragrant. You are a well of knowledge... even vetiver sheets ! Look forward to part 2. 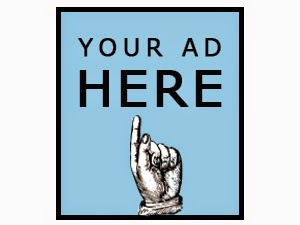 Thanks for your reviews, always very thorough and informative. I am so glad that you have picked vetiver to write about, this is also one dear note to me. Hello, E. I'm very much looking forward to your vetiver series. Now, off to find those vetiver sheets! What a lovely write-up E! I have a love-hate relationship with Vetiver. I tried the reformulated Guerlain Vetiver many years ago and disliked it because of the bitter and dry note. A few months ago, I found an old store in Singapore selling the older Guerlain vetiver pour homme in the EDT and loved it. It was softer, smoother and more powdery. You probably know that Vetiver is a derivative from the Tamil term, Vetti-veru (the root of the Vetti). When I was in Kerala, India, I found out that Vetiver was coiled up and used as a body scrubbing tool because of it's soothing and cleansing properties. I did not buy it because it was a very harsh scrub, but the smell was divine. Most interesting. I am left thinking about calming/healing oils from various geographical regions -- chamomile being one that I was part of my own cultural experience -- and the various means of transporting the effect. (Infusions for drinking, simply chewing the leaves, fragrant oils, etcetera.) Somehow, this line of thought is woven with memories of online discussions of what scents are suitable in what weather. Will try to pull some data, and thoughts :), together. Meanwhile, I love the sheets idea. I hope it proves viable. This really makes me wish I had a bathtub, I have some vetiver essential oil I rarely use, and well a vetiver baths sounds divine. thank you, I always found it a great idea myself. Onda is fabulous, I am so happy you liked it! Curious to see what you'll think of FdN. I was thinking of tackling it all summer long, while using Vetiver Tonka! Glad we share the love for vetiver. thanks, hope you like the series. I sure hope the sheets are as promising as they sound! thank you sweetie for your kind words. I prefer the vintage Guerlain myself and plan to do a comparison in a seperate post. Whatever they say, there has been some change over the years, judging by my vintage which smells richer. I discovered vetiver during grad school. 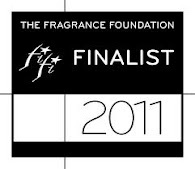 My first was Etro Vetiver. Not long after, my friend Susan blended a light vetiver water mist for me. It never failed to impart some peace after, say, a two hours spent drilling the terms of English prosody into the minds of my second-year students. Sometimes you find your medicine, and sometimes it finds you. Great posting, E.
What an interesting story and we share something besides the vetiver love it seems. I do believe in things finding you: books, art, pleasures, lucky "constellations" changing one's life....ah, the romanesque in me! I am obsessing about a bottle of Sel De Vetiver at the moment. Really looking forward to the Vetiver series. I discovered by accident while in Alaska last June that Guerlain Vetiver seemed to repel mosquitoes. When I returned I did a little research on this and found that it has been used as an insect repellent, much as you describe with the fur coats. Thank you for an interesting series! The series is not over yet, lots of things to talk about vetiver still, will be back in theme soon.